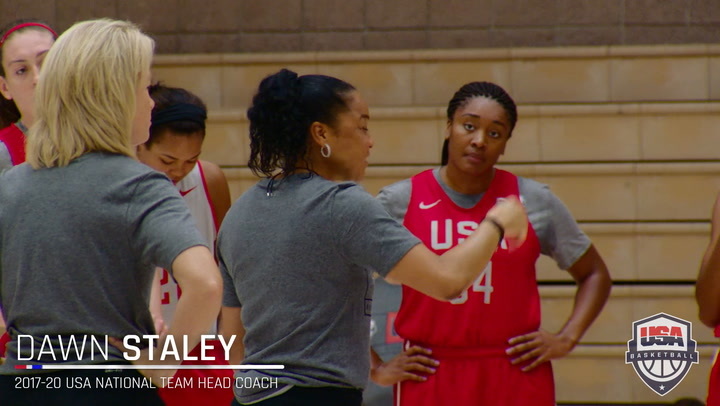 Featuring 12 women’s teams from across the country and including defending USA 3x3 champions Washington Huskies, the teams and rosters have been finalized for the 2018 USA Basketball Women’s 3x3 National Championships, which will be held April 21-22 at the United States Olympic Training Center in Colorado Springs, Colorado. The weekend’s games, which also feature a men’s tournament, are free and open to the public. A total of 18 of the women competing at the USA 3x3 Nationals have prior USA Basketball experience, including eight with international experience, highlighted by Napheesa Collier (Connecticut/O’Fallon, Mo.) and Asia Durr (Louisville/Douglasville, Ga.), who are members of the 2018-20 USA Basketball Women’s National Team pool, as well as 2018 NCAA Tournament Most Outstanding Player Arike Ogunbowale (Notre Dame/Milwaukee, Wis.), who has represented USA Basketball in four 3x3 international events. Also returning are 2015 USA 3x3 U18 World Cup Team members Kristine Anigwe (California/Phoenix, Ariz.), Erin Boley (Oregon/Hodgenville, Ky.) and Ogunbowale, who teamed up to bring home the silver medal. 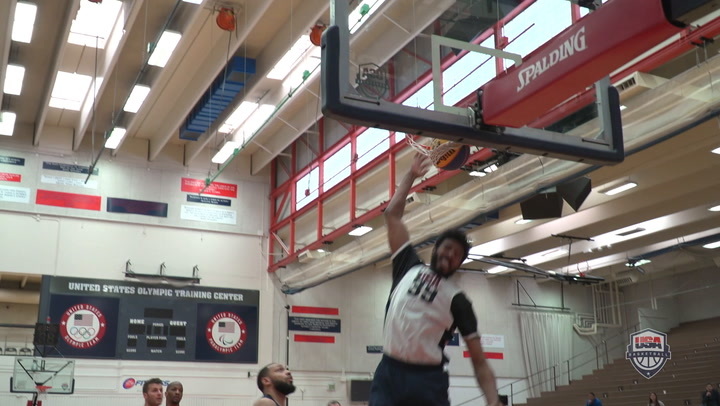 Collier and Ogunbowale earned gold at the 2014 Youth Olympic Games; and Ogunbowale earned gold medals at the 2013 3x3 U18 World Cup and 2013 FIBA Americas 3x3 U18 Championship. In five-on-five action, Anigwe, Boley, Durr, Sabrina Ionescu (Oregon/Walnut Creek, Calif.) and Ogunbowale claimed a first-place finish in the 2017 U24 Four Nations Tournament; Ruthy Hebard (Oregon/Fairbanks, Alaska) and Reili Richardson (Arizona State/Brea, Calif.) finished with the silver medal at the 2017 FIBA U19 World Cup; Hebard won gold at the 2016 FIBA Americas U18 Championship; Anigwe and Collier brought home gold from the 2015 U19 World Cup; claiming gold at the 2014 U17 World Cup were Anigwe, Durr, Ionescu and Ogunbowale; Collier won gold with the 2014 USA U18 National Team; Durr, Ionescu and Ogunbowale helped the USA take home from the 2013 FIBA Americas U16 Championship; and Candice Agee (Penn State/Victorville, Calif.) earned gold medals at the 2012 FIBA Americas U18 Championship and 2013 U19 World Cup. Games, which are played under FIBA 3x3 rules and feature a 10-minute clock and 12-second shot clock, are exciting and fast-paced. Other rules of note: free throws and buckets inside the arc are worth one point and shots from beyond the arc are worth two points; the first team to 21 points or whichever team is ahead at the end of regulation play is the winner; and if the game ends in a tie, the first team to score two points in overtime wins. The teams for each tournament have been drawn into two pools for the April 21 preliminary round games. Held in Sports Center II at the USOTC, round-robin competition for women begins at 9 a.m. (all times listed are local, MDT), with the preliminary round final games set to start at 4:20 p.m. The men’s games begin at 9:40 a.m., and the final session is scheduled to tip-off at 5 p.m. Following Saturday’s games, teams will be seeded for medal-round play, which will be held in Sports Center I and begins at 9 a.m. for the men and 9:40 a.m. for the women. Winning teams will continue to advance to play in the national championship games, both of which will be streamed live on usab.com beginning at 12:50 p.m. 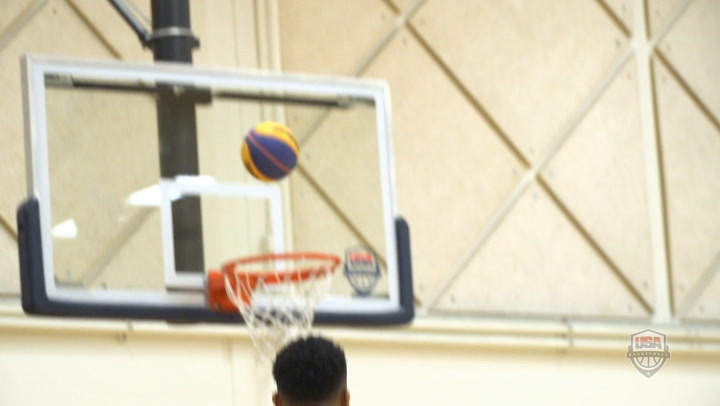 The winning team at the USA Basketball 3x3 Women’s National Championship may have an opportunity to represent the U.S. at the 2018 FIBA 3x3 World Cup. The fifth FIBA 3x3 World Cup, an event launched in 2012 and held in 2014 and 2016 before becoming an annual event in 2017, is expected to feature 20 men's teams and 20 women's teams in 2018. 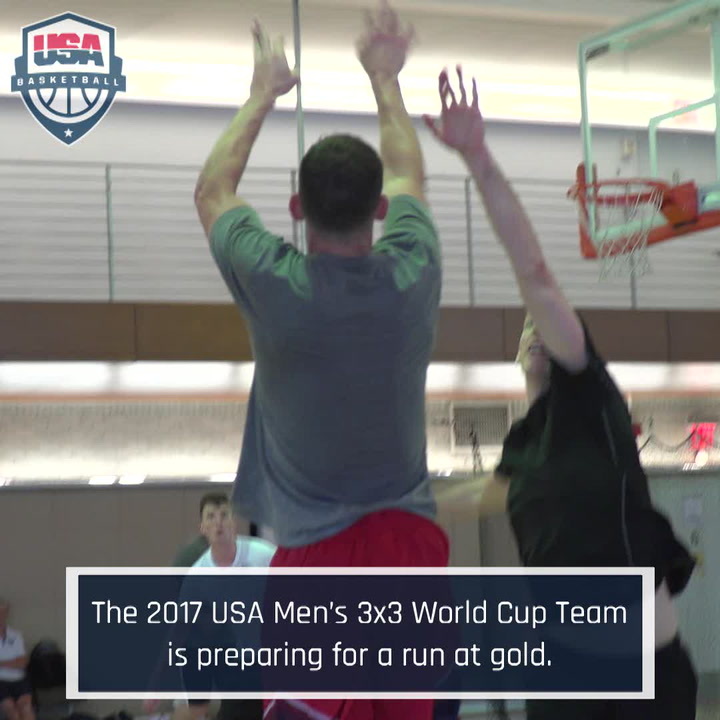 In addition to the men’s and women’s 3x3 tournaments, included in the 2018 3x3 World Cup program will be skills contests, giving athletes chances to win additional medals. USA women’s 3x3 teams qualified for the 2012, 2014 and 2016 3x3 World Cups, but missed out on the 2017 event due to FIBA 3x3 rankings. However, in those three events the USA compiled a 23-2 record and captured gold medals in 2012 and 2014 and a bronze medal in 2016. In the women’s tournament, 18 states are represented. California leads the way with 15 athletes; followed by Texas and Washington with five; Arizona boasts three; Kentucky and Minnesota have two apiece; and Arkansas, Colorado, Delaware, Florida, Georgia, Illinois, Indiana, Missouri, Nebraska, New York, Tennessee and Wisconsin each have one athlete in the women’s 3x3 tournament. Competing for Ariel are Megan Bowen (Princeton/Chicago, Ill.); Lakin Roland (Dartmouth/ Jeffersonville, Ind. ); Annie Tarakchian (Princeton/Orlando, Fla.); and Nicola Zimmer (Dartmouth/Brooklyn, N.Y.). 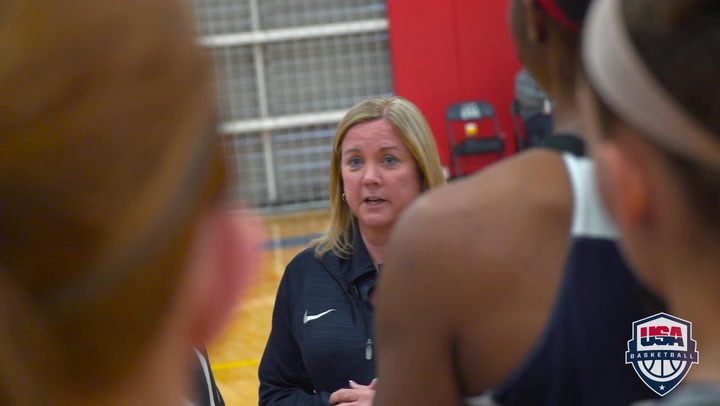 Bye Felicia includes Danika Dale (Liberty/Fort Hood, Texas); Kristen McCarthy (Temple/San Dimas, Texas); Shaqwedia Wallace (Temple/Wilmington, Del. ); and Veshaundra Young (Martin Methodist/Pulaski Tenn.). Representing the Colorado Buffaloes are Quinessa Caylao-Do (Colorado/Tacoma, Wash.); Annika Jank (Colorado/Edina, Minn.); Kennedy Leonard (Colorado/Southlake, Texas); and Alexis Robinson (Colorado/Ashland, Ky.). The Devs squad includes Courtney Ekmark (Arizona State/Phoenix, Ariz.); Kianna Ibis (Arizona State/Omaha, Neb. ); Richardson and Jamie Ruden (Arizona State/Rochester, Minn.). DU WBB features Jasmine Jeffcoat (Denver/Superior, Colo.); Briana Johnson (Denver/Carson, Calif.); Lauren Loven (Denver/Scottsdale, Ariz.); and Samantha Romanowski (Denver/Mountlake Terrace, Wash.). Issa Bucket is comprised of Agee; Brianna Barrett (Southern California/Winnetka, Calif.); Teara Laudermill (Nebraska/Riverside, Calif.); and DeAjanae Scurry (San Diego State/Inglewood, Calif.). Anigwe, Collier, Durr and Ogunwobale make up the N.A.A.K. team. The Oregon Ducks roster includes Boley; Otiona Gildon (Oregon/Spokane, Wash.); Hebard and Ionescu. The Pacific Broncos are Jenn Bresler (Bellvue College/Duvall, Wash.); Gillian d'Hondt (Santa Clara/Seattle, Wash.); Kim Faust (Santa Clara/Kirkland, Wash.); and Ashley Graham (Pacific/Redmond, Wash.). Triple C's and a K include Katie Batlin (Saint Mary's College/Pleasant Hill, Calif.); Casey Morris (Texas Tech/Vallejo, Calif.); Chazny Nunes (Missouri-Kansas City/Vallejo, Calif.); and Charlee Underwood (California State, Fullerton/Emeryville, Calif.). The team of UNM is comprised of Antonia Anderson (New Mexico/San Antonio, Texas); Jaisa Nunn (New Mexico/Kirkland, Wash.); Aisia Robertson (New Mexico/San Francisco, Calif.); and Madison Washington (New Mexico/Red Oak, Texas). Representing the Washington Huskies are Mai-Loni Henson (Washington/San Diego, Calif.); Hannah Johnson (Washington/Santa Clarita, Calif.); Amber Melgoza (Washington/Santa Barbara, Calif.); and Jenna Moser (Washington/Colton, Wash.). Bowen (2016, 2017), Caylao-Do (2017), Collier (2013), Gildon (2017), Ibis (2017), Leonard (2017), Melgoza (2017), Roland (2016), Scurry (2017) and Young (2015, 2016) each have participated in at least one prior USA 3x3 National Championship.